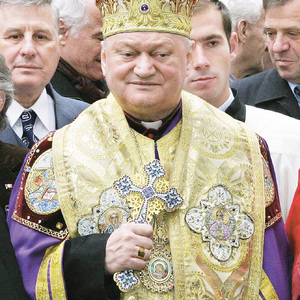 Italian news sources are reporting that the Italian Episcopal Conference (CEI) has vetoed the idea of allowing married priests of the Romanian Catholic Church (one of the Eastern Catholic Churches in union with the pope of Rome) to exercise their priestly ministry in Italy. 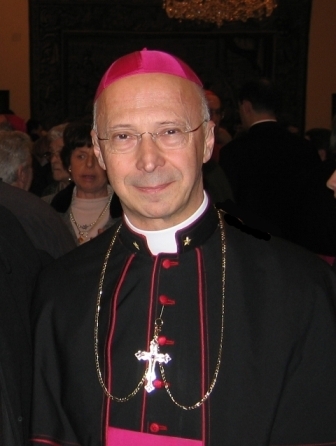 The letter from the Bishops’ Conference cited the importance of “protecting ecclesiastical celibacy” and the need to “prevent confusion among the faithful.” At issue is the concept that the free exercise of the right of Eastern Catholic Churches to ordain married priests is limited to their “canonical territory” or traditional homelands. Outside of their traditional territories, this right is seen as subject to regulation by the Pope. Additional Italian coverage can be found here and here. UPDATE: November 23, 2011 — For updated information on the Ban and how it is currently applied, see the article: Vatican: Ban on Ordaining Married Men in Western Lands is Not Dead. Egypt’s majority Muslim population stuck to its word Thursday night. What had been a promise of solidarity to the weary Coptic community, was honoured, when thousands of Muslims showed up at Coptic Christmas eve mass services in churches around the country and at candle light vigils held outside. From the well-known to the unknown, Muslims had offered their bodies as “human shields” for last night’s mass, making a pledge to collectively fight the threat of Islamic militants and towards an Egypt free from sectarian strife. “We either live together, or we die together,” was the sloganeering genius of Mohamed El-Sawy, a Muslim arts tycoon whose cultural centre distributed flyers at churches in Cairo Thursday night, and who has been credited with first floating the “human shield” idea. Among those shields were movie stars Adel Imam and Yousra, popular Muslim televangelist andpreacher Amr Khaled, the two sons of President Hosni Mubarak, and thousands of citizens who have said they consider the attack one on Egypt as a whole. In the days following the brutal attack on Saints Church in Alexandria, which left 21 dead on New Year’ eve, solidarity between Muslims and Copts has seen an unprecedented peak. Millions of Egyptians changed their Facebook profile pictures to the image of a cross within a crescent – the symbol of an “Egypt for All”. Around the city, banners went up calling for unity, and depicting mosques and churches, crosses and crescents, together as one. The attack has rocked a nation that is no stranger to acts of terror, against all of Muslims, Copts and Jews. In January of last year, on the eve of Coptic Christmas, a drive-by shooting in the southern town of Nag Hammadi killed eight Copts as they were leaving Church following mass. In 2004 and 2005, bombings in the Red Sea resorts of Taba and Sharm El-Sheikh claimed over 100 lives, and in the late 90’s, Islamic militants executed a series of bombings and massacres that left dozens dead. This attack though comes after a series of more recent incidents that have left Egyptians feeling left out in the cold by a government meant to protect them. Last summer, 28-year-old businessman Khaled Said was beaten to death by police, also in Alexandria, causing a local and international uproar. Around his death, there have been numerous other reports of police brutality, random arrests and torture. Last year was also witness to a ruthless parliamentary election process in which the government’s security apparatus and thugs seemed to spiral out of control. The result, aside from injuries and deaths, was a sweeping win by the ruling party thanks to its own carefully-orchestrated campaign that included vote-rigging, corruption and widespread violence. The opposition was essentially annihilated. 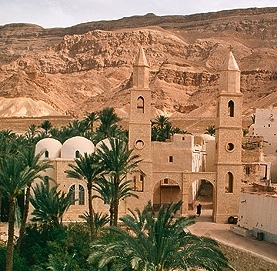 And just days before the elections, Copts – who make up 10 percent of the population – were once again the subject of persecution, when a government moratorium on construction of a Christian community centre resulted in clashes between police and protestors. Two people were left dead and over 100 were detained, facing sentences of up to life in jail. The economic woes of a country that favours the rich have only exacerbated the frustration of a population of 80 million whose majority struggle each day to survive. Accounts of thefts, drugs, and violence have surged in recent years, and the chorus of voices of discontent has continued to grow. The terror attack that struck the country on New Year’s eve is in many ways a final straw – a breaking point, not just for the Coptic community, but for Muslims as well, who too feel marginalized, oppressed, and overlooked by a government that fails to address their needs. On this Coptic Christmas eve, the solidarity was not just one of religion, but of a desperate and collective plea for a better life and a government with accountability. A very well done piece on the construction of the Cathedral of St. Sava in Belgrade, Serbia. The temple (it’s actually not a cathedral in the technical sense of the word as it’s not the seat of a bishop) is said to be the largest Orthodox church in the world. One of the most interesting parts of the video is when it shows how the 4,000 ton central dome was raised — in 40 days! The temple is near completion with some interior work left to be done. For those interested, a listing of the largest church buildings in the world. 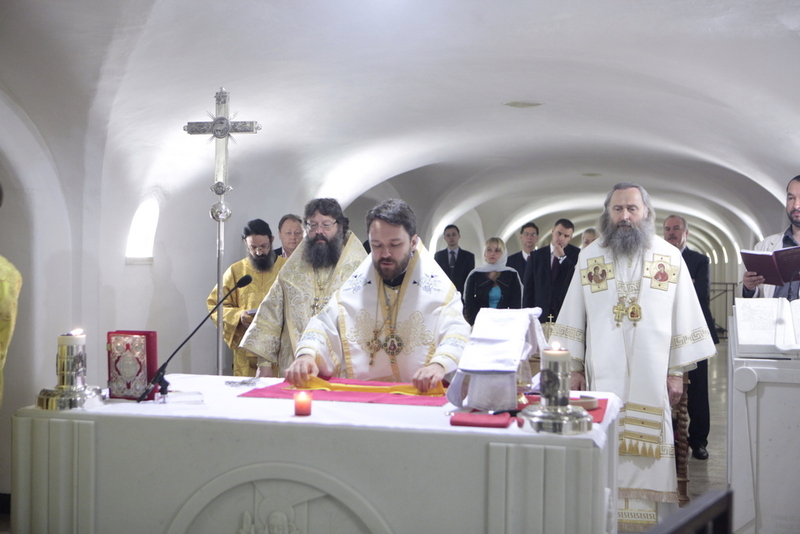 On 19 May 2010, Metropolitan Hilarion of Volokolamsk, Chairman of the Moscow Patriarchate’s Department for External Church Relations, currently in Italy with the blessing of His Holiness Patriarch Kirill of Moscow and All Russia, celebrated the Divine Liturgy at the burial site of St. Peter in the crypt of St. Peter’s Basilica in Rome. Concelebrating were Archbishops Kirill of Yaroslavl and Rostov and Feognost of Sergiev Posad. Assistant to the DECR Chairman, L. Sevastianov sang hymns in Znamenny chant. Present in the crypt were believers who arrived from Russia to take part in Metropolitan Hilarion’s pilgrimage. 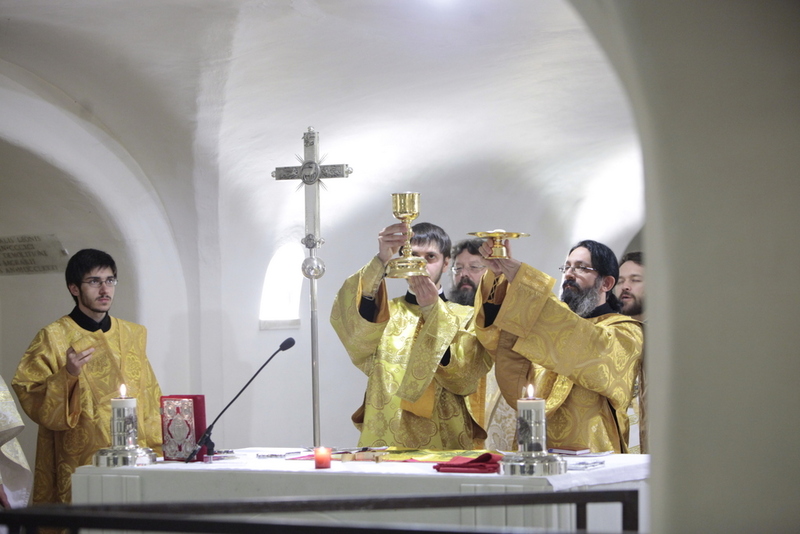 After the divine service, the hierarchs, clergymen and all worshippers venerated the particles of St. Peter’s holy relics, singing magnification to the apostle. The Antiochian Orthodox Archdiocese of Mexico, Venezuela, Central America and the Caribbean — Iglesia Ortodoxa Antiquena, Arquidiócesis de México, Venezuela, Centro América y el Caribe — is quite busy in the Lord’s work as a look at this new You Tube video demonstrates. For those wanting to practice their Spanish, take a look at this Spanish Orthodox prayer book or listen to recordings of Orthodox liturgical services in Spanish (at this page, just click on the icon of the service: such as “Partituras de Divina Liturgia” or “Troparios de la Resurrección” and then click on the green audio buttons on the right) or read about the Orthodox faith in Spanish — all drawn from the Antiochian Archdiocese’s website. Creador del cielo y de la tierra, y de todas las cosas visibles e invisibles. Y en un sólo Señor, Jesucristo, Hijo Unigénito de Dios, que nació del Padre antes de todos los siglos; Luz de Luz; Verdadero Dios, de Dios Verdadero; engendrado, no hecho; Consubstacial al Padre; por quien fueron hechas todas las cosas. Quien por nosotros los hombres y para nuestra salvación, bajó de los cielos, encarnó del Espíritu Santo y María la Virgen, y se hizo hombre. Fue crucificado, también para nosotros, bajo el poder de Poncio Pilato, padeció y fue sepultado. Y Resucitó al tercer día según las Escrituras. Subió a los cielos, y está sentado a la Diestra del padre. Y vendrá segunda vez, lleno de gloria, a juzgar a los vivos y a los muertos, y su Reino no tendrá fin. Y en el Espíritu Santo, Señor y Vivificador, que procede del Padre, y que con el Padre y el Hijo es juntamente adorado y glorificado, y que habló por los profetas. Y en Una Iglesia Santa Católica y Apostólica. Confieso un solo Bautismo para la remisión de los pecados. Y la vida del siglo venidero.